I've been hearing a lot about cronuts in the past few weeks, and I see people are going gaga over this latest pastry craze. 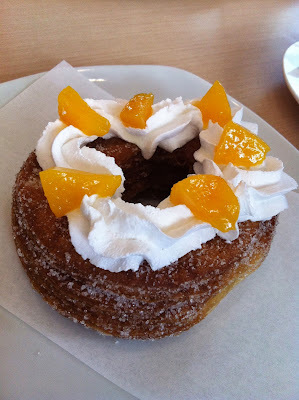 I am quite intrigued and was wondering how it is different with the conventional donuts. Good thing I was able to sample Go Nuts version of the cronuts during a food tasting last week. Cronut first became popular in New York early this year and is described as a sugary heaven giving you the goodness of both worlds, hence the description, "half donut, half croissant". It is baked from laminated dough as a croissant with decadent cream filling, fried to perfection as a donut then topped with fruit toppings. Viola! 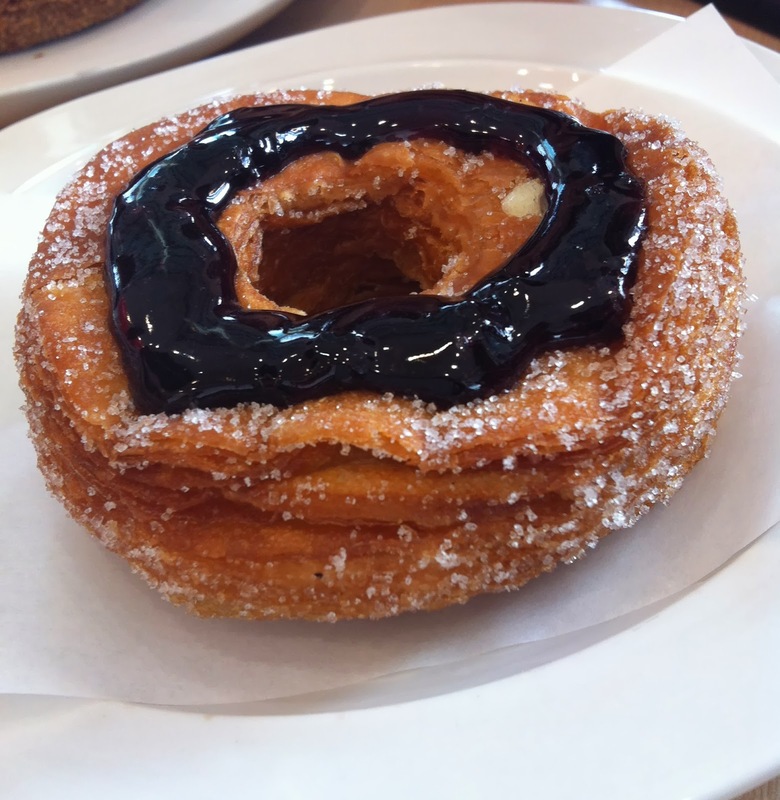 We now have the cronut! 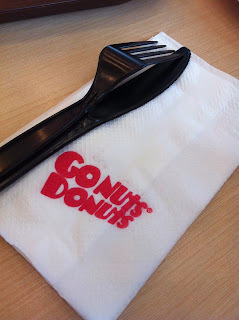 Check more of Go Nuts Donuts via there Facebook page here. Yay! i can eat all that in one sitting! haha! where's the branch/es of this ? Oh, so delicious. My kids saw these photos and one wants me to buy peaches and cream and the other one wants a blueberry cream cheese. We haven't tried these variants yet. This is a yummy treat but I really hate donuts and the like,. Hanngang hopiang mungo ka lang ako. I love butter croissants as breakfast or snack whenever I visit French restaurant. 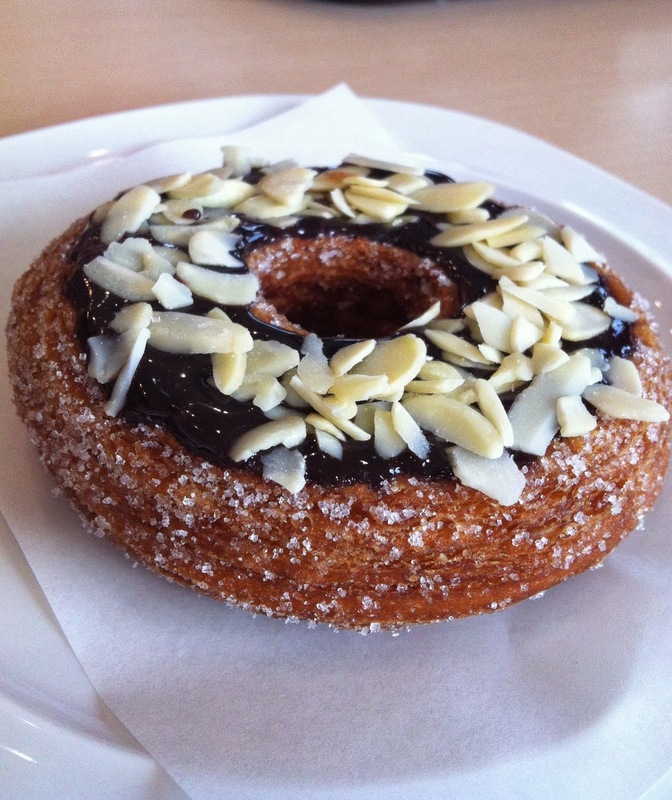 I might try those yummy looking cronuts soon. Thanks for the review. I'm in NY state but I've never heard about Cronuts, or maybe I just don't pay attention, now that you mentioned that i might try to check our stores here...they look good. i love sweets, so am sure, I would love all of these yummy treats! yummy treat. Can I have one please? 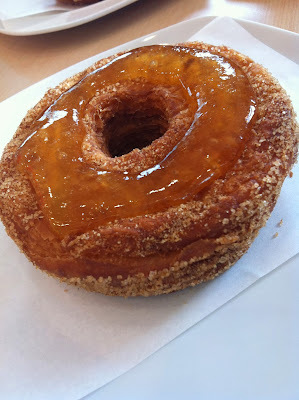 I tried cronuts when it was "trending" and I'm really disappointed. We went to Wildflour because it's where it originally started. Sayang effort. Ayayay! I feel like going nuts right now for not being able to have a bite or two of those crunuts! Lol. Oh another treat for my eyes and hungry tummy.